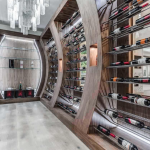 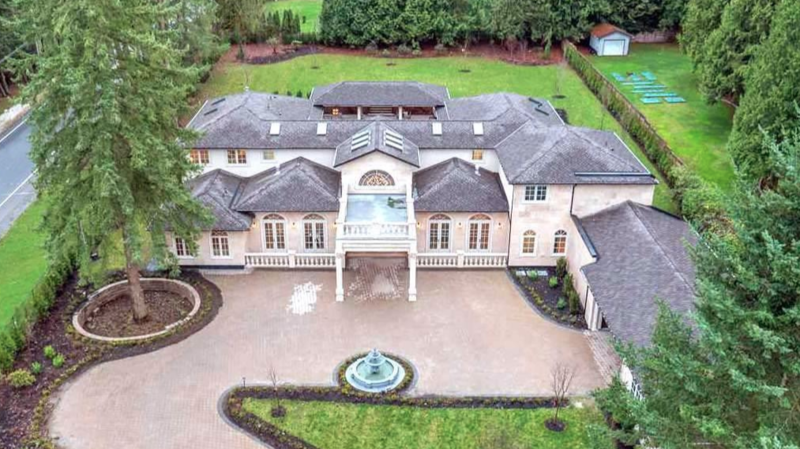 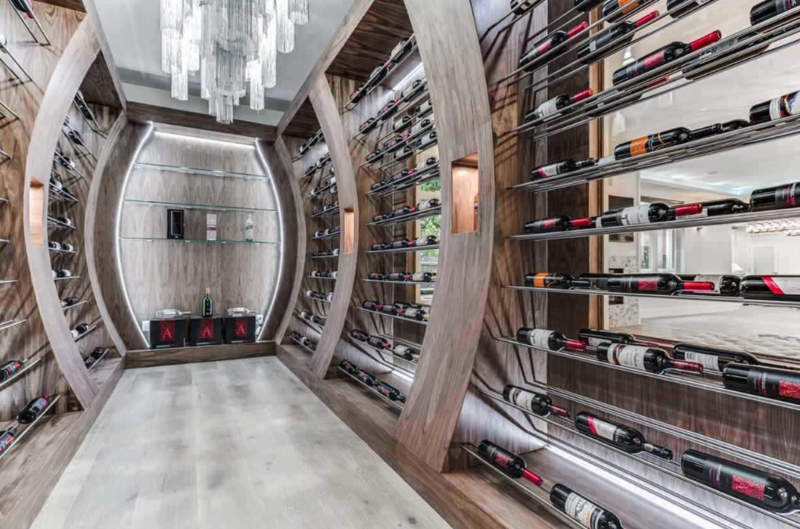 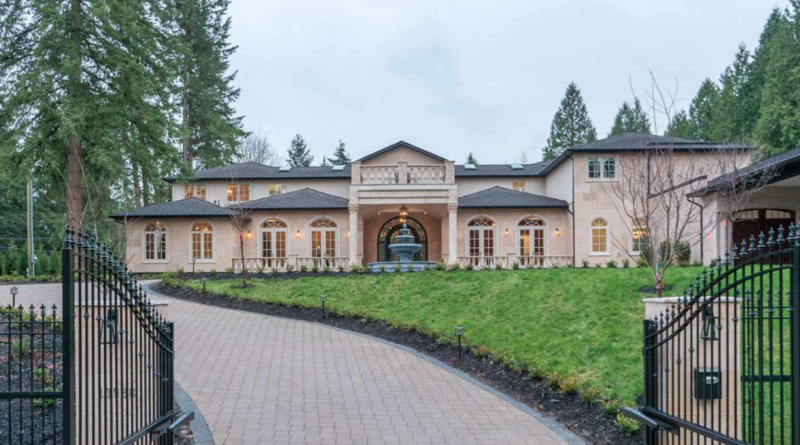 This luxury home is located at 13988 34 Avenue in Surrey, British Columbia, Canada. 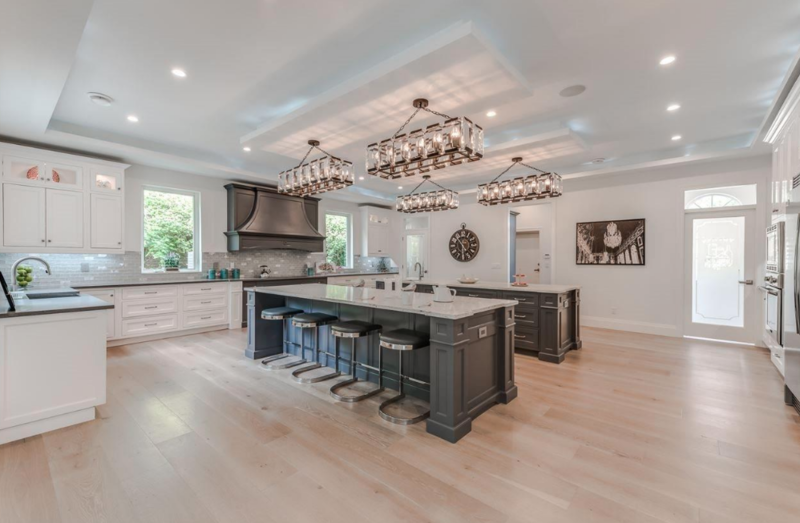 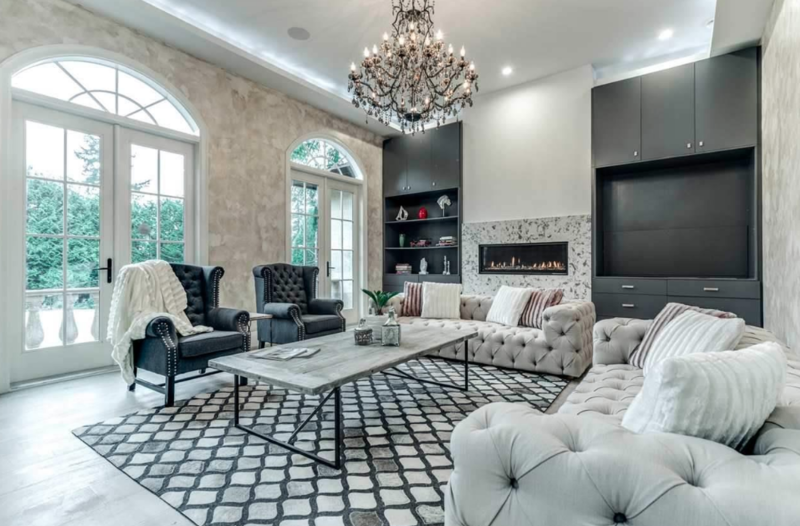 It features over 6,000 square feet of living space with 5 bedrooms, 7 bathrooms, 2-story foyer with double staircase, formal living & dining rooms, gourmet kitchen with double islands, family room, wine cellar, garage and more. 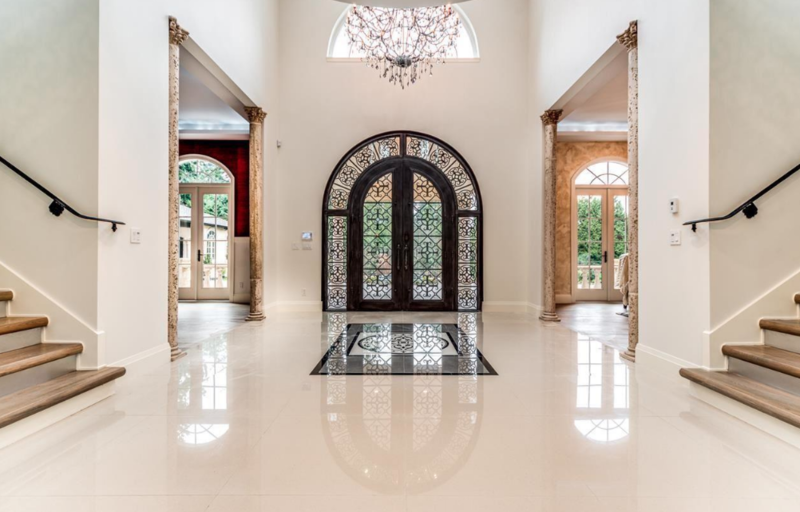 Outdoor features include a gated entrance, fountain, porte-cochere, balconies, patios and a swimming pool with spa. 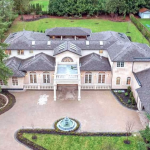 It is listed at $5,980,000 CAD.